Independent game publisher Versus Evil has so far released two Android games - The Banner Saga and Fear The Walking Dead: Dead Run, a tie-in with AMC's Fear the Walking Dead. 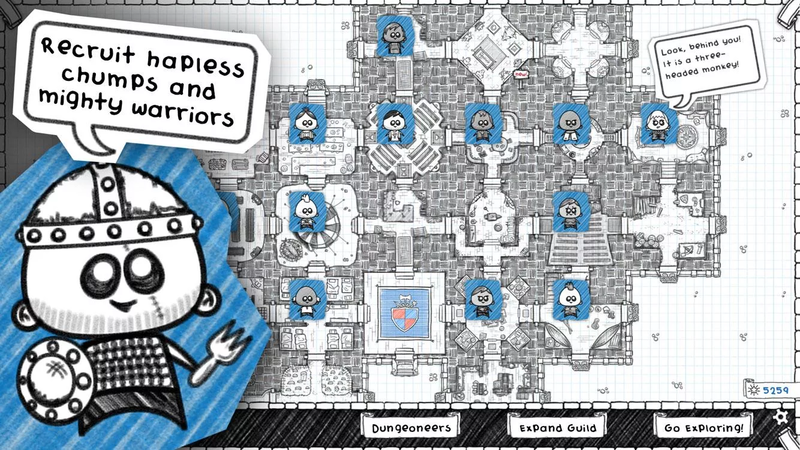 Today it's third game hits the Play Store, titled Guild of Dungeoneering, a role-playing game based around restoring your guild to its former glory in your role as Dungeon Master. Dungeoneering is already available on Steam for Windows and macOS (the trailer above is for those versions, thus the cursor), so to see it come to Android should be a boost for the platform and Google Play. Gameplay is based around cards, playing strategically from the contents of your deck; instead of playing as the hero, you build the dungeon and the hero will fight and go to different locations. It's an interesting and different mechanic in a world dominated by the player as the hero. Versus Evil's games are known for their in-depth stories and lovingly crafted graphics, so I'm excited to dig into this game and see if it holds up the excellent Banner Saga. On Steam Dungeoneering has been racking up some great reviews, so let's hope the Android version can do the same. Guild of Dungeoneering is available on the Play Store now for $3.99, but in an interesting twist, it will get more expensive the more content Versus Evil adds (such as the upcoming Pirate's Cove pack). If you pay for it now, the remaining content will be added for free, so it might be a worthwhile investment if you're thinking about it.